These potential contributions represent a 47% increase in gas reserves and an 11% increase in oil reserves. The much publicized US shale boom has a number of environmental, political and economic consequences, including the possibility of America becoming the world’s top petroleum producer. The report explicitly mentions its own shortcomings, suggesting that the estimates are “highly uncertain and will remain so until they are extensively tested with production wells.” Economic viability is not assessed in the report. 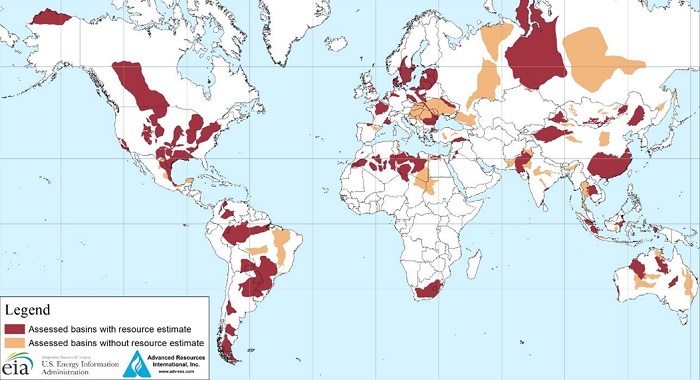 Development of shale requires use of the controversial drilling technique of hydraulic fracturing or ‘fracking,’ which is still banned in some countries including France and Bulgaria.